So sorry you lost her, Scaredy. She looked like a sweet mouse. I voted for her in the photo contest, those pictures are too cute. You're killing me with your inspirational quotes! I'm a puddle over here! 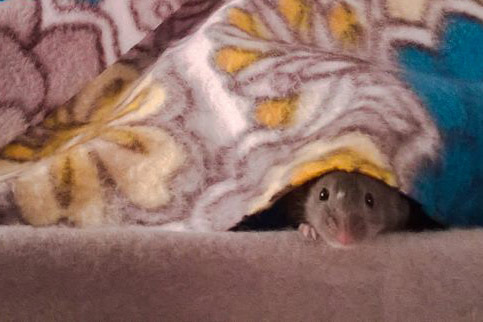 Delilah was such a sweet mouse, even from the beginning. She came from the feeder bin.... She was so beautiful and so spirited, I has to bring her home. I has just lost my Penny (scaredy mouse) and I got her for Gilly & Furgie. But I didn't expect to bond with her because I was too heartbroken. But we really connected. She was always in the hammock begging to come out. Always. I could call her name and she would come... Anyway, she will be sorely missed for sure. I feel bad for Jellybean, she has lost 3 of her sisters and is the oldest now. She looks sad ☹ she'll be getting extra cuddles this week. @scaredymouse wrote: You're killing me with your inspirational quotes! I'm a puddle over here! Delilah was such a sweet mouse, even from the beginning. She came from the feeder bin.... She was so beautiful and so spirited, I has to bring her home. I has just lost my Penny (scaredy mouse) and I got her for Gilly & Furgie. But I didn't expect to bond with her because I was too heartbroken. But we really connected. She was always in the hammock begging to come out. Always. I could call her name and she would come... Anyway, she will be sorely missed for sure. I feel bad for Jellybean, she has lost 3 of her sisters and is the oldest now. She looks sad she'll be getting extra cuddles this week. Ah, sorry, they are happy tears though, no? She sounds like she was so sweet, all your mice are so sweet. Awh, poor little Jellybean! I'm so sorry to hear, scaredy. It was very inspiring to hear about how well Delilah's colony took care of her. It's crazy to think that Jellybean is the oldest! Oh my goodness, how old is she? 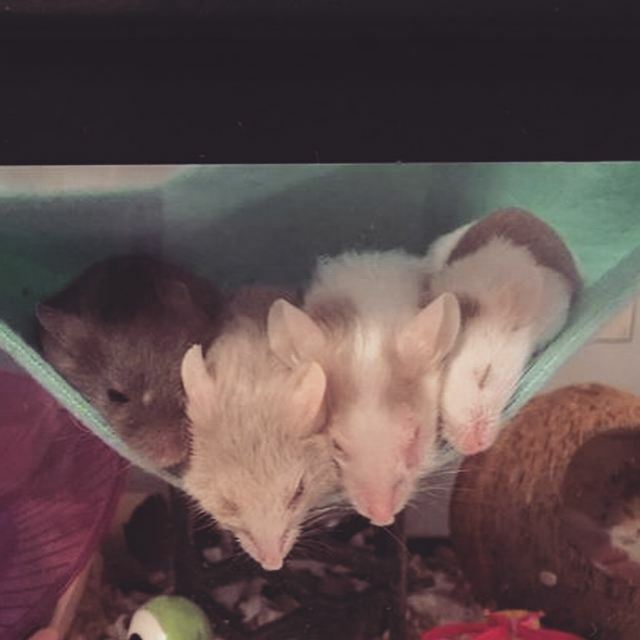 I remember my "originals", the girls that made me get more mice so they wouldn't be lonely. I fell for each one. I hope you and the rest of your girls will be okay soon. And Peachy, my little Bean will be a year old in 2 weeks! I'm sorry for your loss Scaredy :-( she sounds like she was such a sweet mouse. Aw, not Delilah . I remember when you brought her home to keep Furgie and Gilly company after Penny passed. It hardly seems possible that that much time has elapsed for her to have become a senior mouse. At least you were with her when she passed, a relief for both of you.